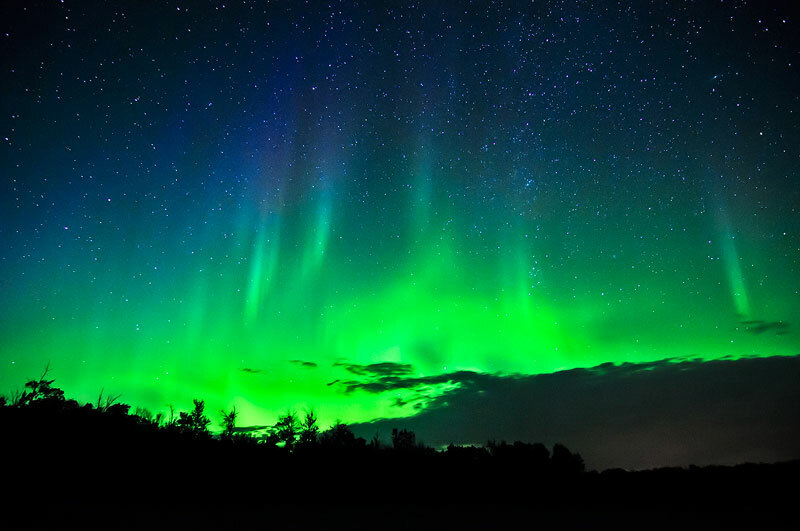 Aurora near Garner Lake, Alberta. | Garner Lake, Alberta. I was up at Garner Lake during the weekend of August 16th-19th, assisting Ania with a Polish Camp she helped run. On the 16th, the northern lights decided to make an appearance and I was able to capture a few photos. The new moon made it especially dark outside, and it was awesome to see so many stars.